Express yourselves as a couple! Your wedding might be the biggest party you ever throw, and it’s a great opportunity to express yourselves as a couple. No doubt the two of you share a passion for something wonderful, whether it’s a sport, a hobby or a profession. You can make that passion a central theme of your wedding. Some couples exchange vows while running a marathon, SCUBA diving or sky diving, which is a ton of fun but tends to limit the guest list. 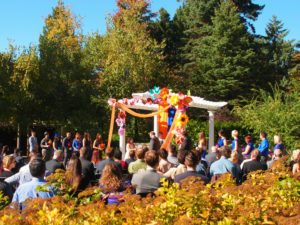 Other couples bring their passion into the wedding ceremony and reception, relying on it to inform the theme of the event. Is there something that brought the two of you together to start with? Maybe you met at a photography exhibit, a soccer game, or a kayaking meet-up. Do you devote your free time to classic films, volunteering at the Humane Society, or wine tasting? Do you share a passion for sci-fi, square-dancing or scrabble? Maybe there’s a book, a film, or a city you both love. Consider what passions and past-times you share and consider reflecting it in your wedding. For example, a couple who loves to go hunting together can embrace the camo theme. Yes, it’s possible to buy a camo wedding dress–Google it and find out! 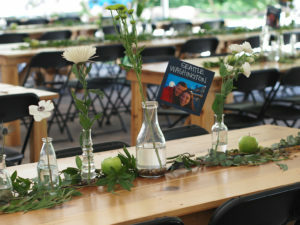 If fishing is more your speed, get married in waders, and have centerpieces inspired by hand-tied flies. Perhaps your first vacation together was to Paris, or it’s your dream honeymoon destination. Let the French city of light inspire your outfits and your decor, with cafe-style seating, beautiful patisseries, and Eiffel tower invitations and decor. Don’t forget Edith Piaf and accordion music! Was your first date at a tiki bar? A tiki-themed wedding is guaranteed fun, with tiki torches, bright colors, luscious pupu platters and a miniature umbrella in every mai tai. Do you love golfing together? Think green and white for a color scheme, with a 19th hole serving Arnold Palmers and a white wedding cake dimpled like a golf ball. 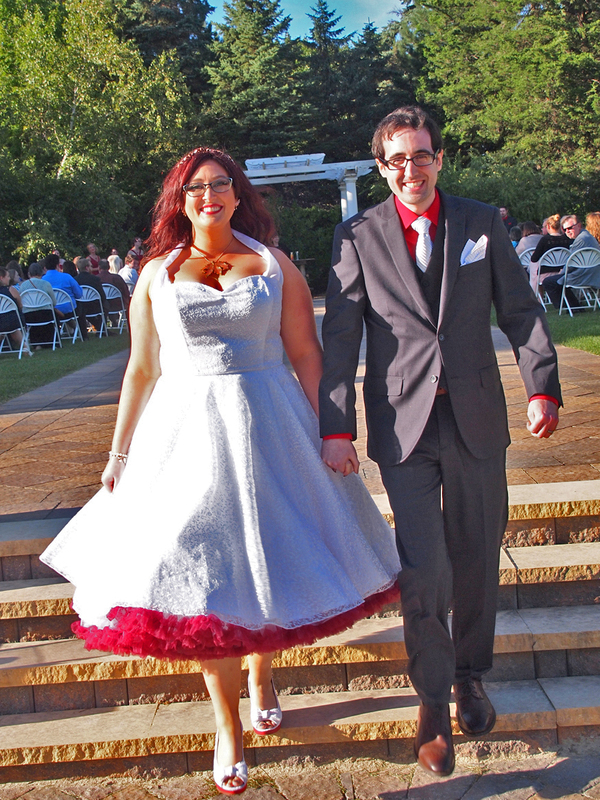 One couple who works from home decided on a pajama wedding. Since they both spend the better part of their days in PJ’s, they invited guests to play along and wear pajamas to the ceremony. If you share an obsession with a favorite movie, draw your theme from it. Whether it’s Star Wars, Casablanca or Gone with the Wind, you’ll have fun choosing gowns, suits, decor, music, food and drink to share your passion with family and friends. A couple devoted to travel can incorporate maps, luggage tags and vintage suitcases into the decor. A couple infatuated with photography can make centerpieces out of vintage cameras and use black-and-white prints as placemats. Minnesota Vikings season ticket-holders can rely on purple and gold for their colors, and serve hot dogs, pretzels and beer. The bottom line: it’s YOUR wedding, make it your own! Plan out the invitations, the clothes, the decor, the food and the drink to reflect your passion and it’ll be that much more memorable for you as well as your guests. If you exchange vows wearing waders, you know you’ll make a long-lasting impression.